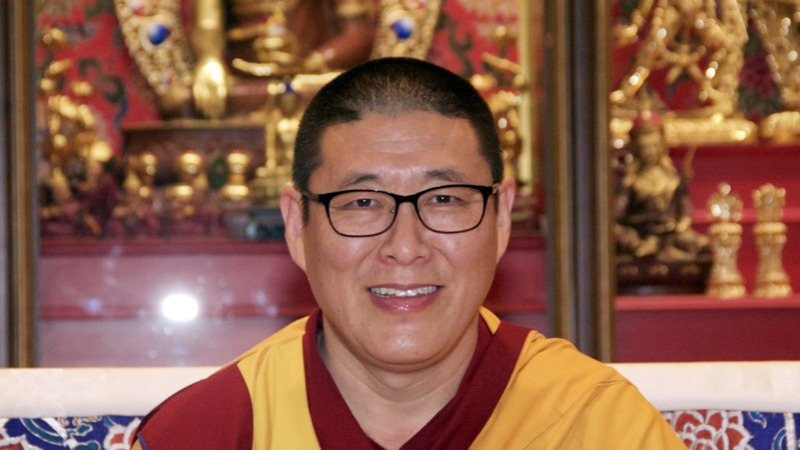 We are pleased to announce that our beloved Master Venerable Thamthog Rinpoche, Spiritual Guide of the Ghe Pel Ling and Abbot of Namgyal’s monastery of His Holiness the Dalai Lama, will conduct our summer retreat from July 27th to 4th August 2019. Further information will be communicated as soon as possible. Ven. Thamthog Rinpoche was born in 1951 in Lithang, eastern Tibet. When he was six he was recognized and reconfirmed by His Holiness the Dalai Lama and the tutor of His Holiness, Kyabje Trijyan Rinpoche, as the reincarnation of the XII° Thamthog, fondatore of the three biggest monasteries in Lithang. As a child he devoted himself to study at the monastery of Sera Jé in Tibet and, in exile, after 1959 he continued his studies at the monastic university of Sera Jé in the south of India. 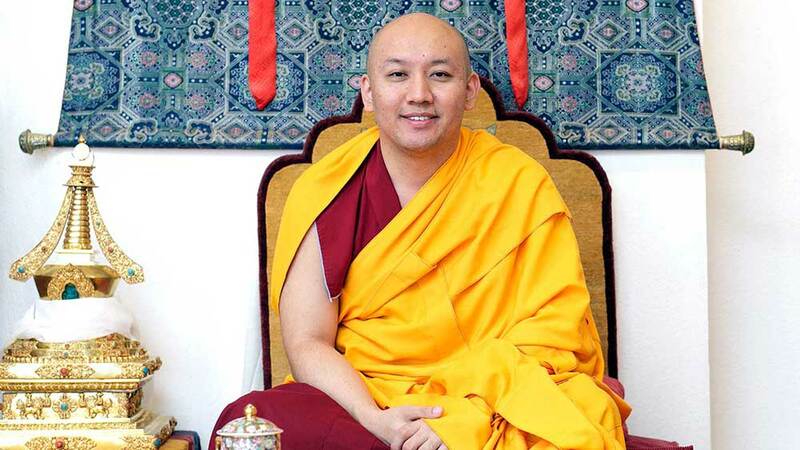 In 1982 he obtained the highest degree in Buddhist studies – Geshe Lharampa. Afterwards he entered the tantric monastery of Gyumé to widen his knowledge of tantra. Rinpoche has received the entire transmission of common and secret teachings from His Holiness the Dalai Lama, from his two tutors, Ven. Song Rinpoche and Gheshe Tenzin Gonpo, and from other authoritative masters of Tibet. In 1987, on request from his Master Gheshe Tenzin Gonpo, he came to Italy and in 1992, following his Master’s departure, he took over the role of spiritual guide of Ghe Pel Ling Institute. In the twenty years he stayed in Milan, Rinpoche has proven to be, in fact, a true, great Dharma Master. From a doctrinal point of view, he has taught an increasing number of Italian disciples the complete path shown by the Buddha. His teachings are always given with extreme care and attention to ensure they are understandable to Westerners without detracting from the original meaning. He always maintains a relationship of affection, caring for his disciples in every way, using sweetness or severity as required, showing he has all the abilities of a qualified Dharma Master, first of all an immeasurable compassion. In 1993, he returned to Tibet, where he visited a great number of monasteries and villages, giving teachings, empowerments, commentaries and oral transmissions day and night, for a period of three months, to an audience that when up to ten thousand people. 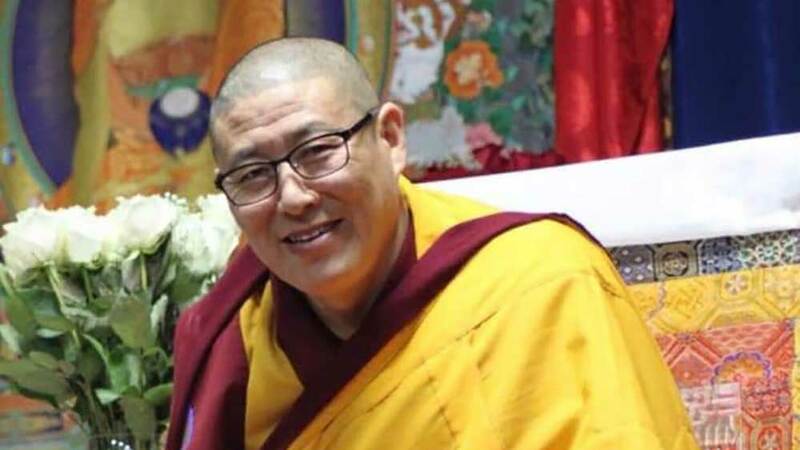 During his next trip in 1996, Rinpoche again took care of his people, giving other teachings and trying, in particular, to teach the value of Buddhist ethics to many young people who were engaging in negative actions such as drinking alcohol, stealing or hunting. 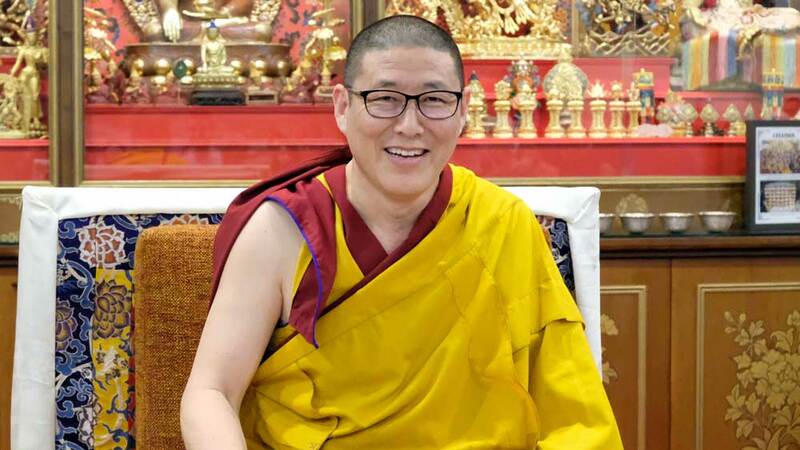 Thanks to the confidence in the value of the Rinpoche and his lineage, there has been a very positive response and a decrease of these destructive attitudes. Also during this trip, Rinpoche made a gift of a thousand statues of Tara and donated all the money he received to charity. In 2000 and 2004, along with numerous disciples and Italian friends, Rinpoche travelled back to Lithang and, as during previous trips, gave away any offering he received, and took care of the needs of the population. Ven. Thamthog Rinpoche has given rise to various charity projects including the reconstruction of the hospital, school and hostel of Lithang. Due to his tireless work, the Institute has grown increasingly, becoming a point of reference for those seeking a more authentic and spiritual way to live their lives. 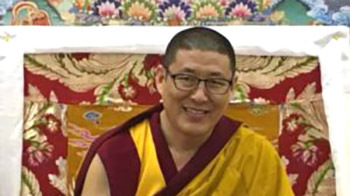 Rinpoche has many disciples: in addition to one hundred thousand of Tibet, he also has many students in Sera, Drepung and Gaden (India) and many others in the United States, Canada, Japan, Vietnam and major European countries. 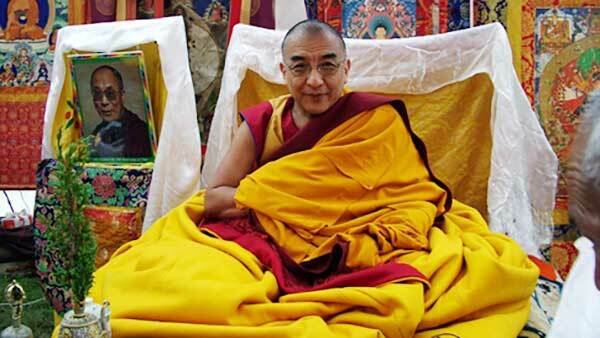 In Italy, he is also spiritual guide of Kalachakra Centre in Ventimiglia and of Tenzin Ciö Ling Centro studi tibetani. In august 2009, Ven. Thamthog Rinpoche was appointed abbot of Namgyal Monastery by His Holiness the Dalai Lama and since then resides in Dharamsala, India. Namgyal Monastery (that occupied an entire wing of the Potala Palace in Lhasa, Tibet), is now situated opposite the residence of His Holiness the Dalai Lama in Dharamsala, and it’s the personal monastery of His Holiness and provides facilities when He is teaching. Namgyal Monastery is the home of hundreds of monks of all schools of Buddhism who wish to deepen their knowledge and practice of the Kalachakra Tantra and the complex ritual that accompany this important initiation.